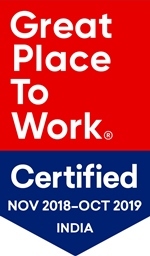 Distinguished by the Great Place to Work® Institute, this certification is a testimony to the values we uphold at our workplace, making sure that every employee contributes to our organizational goals while creating a rich culture that welcomes and integrates everyone into the Acer family. To respect the laws and policies of the country. At Acer, we offer careers and not just jobs. Be part of this dynamic family!